SQS018: 10 Amazing Denver Communities to Join Today! One of the most challenging aspects of moving to a new town is finding community. You’ve decided to leave a place for whatever reason, and now you have to connect with new people. And, in larger cities, it can be difficult to figure out where to begin. This podcast episode and post will share 10 amazing Denver communities to check out when you arrive in town. Thank you to our wonderful episode sponsor Modworks! If you’re looking for a co-working space for the day or as a permanent base for your business? Check out this fantastic community located across the street from Civic Center Station. It’s a warm community, focused on growing their businesses, one connection at a time. 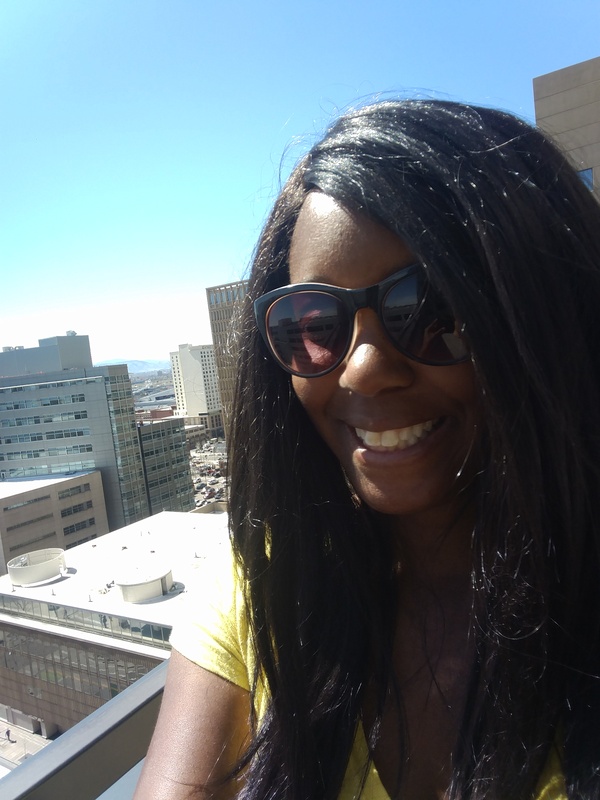 There is a stellar view of the city of Denver and a patio on the 14th floor. And, a huge puppy! Tell them that Michelle from Square State sent you. Book a tour today! Women in Kind (Wink)-A women-focused entrepreneurial space. They even have childcare! House of Pod-This co-working just opened a week or so ago. It’s a co-working space for podcasters. This is a brilliant idea and the business model looks solid. I can’t wait to go check it out. Women of Denver-This group is for entrepreneurial women in Denver. Krystal Covington has created an incredible community to nurture and grow female entrepreneurs. Denver Boss Babes-One of my favorite groups on the list! Roxy Barnes and Chelsea Blankenship created this community and I love it. The ladies are fun loving, hard-working, and share their wisdom freely. Check out Roxy’s podcast interview HERE. Professionals of Color Networking Group-I’m looking forward to meeting other professional POC’s in the city of Denver. The Commons on Champa-Recently, I shared a podcast interview that I recorded with Jesse Shuler, Community Manager at the Commons. This is a fantastic resource for startup entrepreneurs in Denver. The Colorado Startups Facebook Group-This was a group that I had no idea existed until I spoke with Jesse. If you’re starting a business it’s a great space to support others and be supported as you grow your business vision. Slam Nuba-It may be better to describe Slam Nuba as a creative collective centered around poetry slams. Regardless, I’m obsessed with them, and love the creative voices that come out of this community. Meetup.com-If you’re new to Denver…you have to attend some Meetups. There is something for EVERYONE. Seriously, everyone. Join me on Friday, May 4th, 2018 from 3:00 pm-4:30 pm. The Welcome Mat is a series of events created to welcome new arrivals to Denver and connect them to: current residents and resources that will make the transition to their new town even easier. Click HERE to sign up via EventBrite. The days are getting longer and one of the best times of year to live in Denver is just around the corner. And, there are a ridiculous number of shenanigans that Denverites like to get into. The key is to plan ahead and not go broke because of all of the summer fun that you’re having. There are a ridiculous number of ways to save on fun in Denver and this episode shares some ideas that you may not of considered. And, how it will save you money! Sign up to attend Square State’s “The Welcome Mat” event. Facebook may be in the dog house right now, but it is good when it comes to this. Don’t forget to check this popular savings site before making ticket purchases. Do you co-work? Check out Deskpass before committing to your new business home.